label:Philmultic Management & Productions Inc.
artist submitted by:Philmultic Management & Productions Inc.
Liu Fang, a foremost representative of the younger generation of pipa (Chinese lute) soloists, is regarded as one of the leading pipa players in the world. 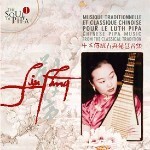 Celebrated in the press as the "empress of pipa" (L'actualite, 2001), "divine mediator" (World, 2006), "the greatest ambassadress of the art of the pipa" (La presse, 2002), Liu Fang is known as "possessing virtuoso technique, grace and a unique empathy toward the music she plays whether it is a traditional and folk tune or a modern Western composition" (All Music Guide, 2003). 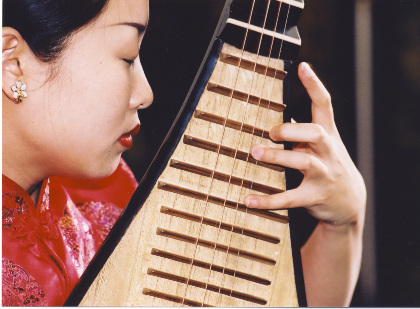 Born in Kunming (China) in 1974, Liu Fang started learning the pipa at the age of 6 and soon began to perform in public as a child prodigy, including a performance for the Queen of England in 1985. 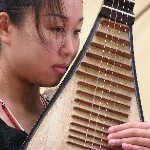 Her studies in Shanghai Conservatory included guzheng (Chinese zither) and she graduated in 1993. Since moving to Canada in 1996, Liu Fang has performed all around the world at such prestigious venues as the Theatre de la Ville in Paris, the Philharmonic Hall of Liege, Belgium (2006), BBC concerts in London (2003, 2007), the Bath International Music Festival (2004) and the York Early Music Center (2008) etc. 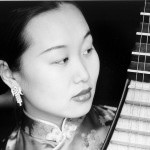 Her profile has risen dramatically due to her masterful, rich and deeply spiritual performances as well as a wide ranging repertoire that features music from Chinese classical and folk traditions ( including pieces rarely heard) as well as contemporary works fromboth China and the western countries. 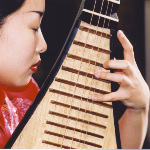 Chinese Classical music often has thematic, poetic or philosophical classifications and is typically played solo, such as on the guqin, a 7-string zither, with over 3000 years of history, or the pipa, a lute with over 2000 years of history. The instruments demand not only a mastery of technique but a high degree of sensitivity to evoke the subtle sonorities and deep emotional expressions that rely on the left hand techniques (through, for instance, sliding, bending, pushing or crossing of the strings to produce typical singing effects and extreme dynamic ranges), where synchronized ensemble playing is virtually impossible. 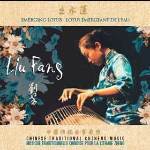 Liu Fang transmits in an expressive and graceful way the beauty of the Chinese traditional classical music, while drawing out the subtle sonorities of the pipa and the guzheng. Through the power and sensitivity of her playing, she gives a renewed interpretations of the ancient repertory, of the poetic as well as the martial styles. The growing admiration from listeners, experts and novices alike attest to the great appreciation and respect paid to this highly talented musician. 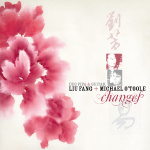 Besides the due tribute paid to the Chinese classical traditional music through her numerous recitals, national and international TV and Radio appearances as well as the distribution of her solo albums, Liu Fang has premiered new works by a number of accomplished composers, including R.Murray Schafer( in whose opera The Palace of the Cinnabar Phoenix she performed on both guzheng and pipa), Jose Evangelista and Melissa Hui as well as regularly performing as a soloist with orchestra, string quartets as well as various ensembles in the works of composers such as Tan Dun and Zhou Long. 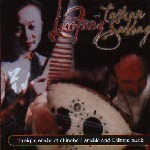 After intensive studies in Paris with Prof. Tran Van Khe on the principles of improvisation in various musical traditions, thanks to the support of Canada Council for the Arts in 2000, Liu Fang has set out to explore new possibilities through daring collaborations with the aim of finding new ways of combining ancient eastern culture with the modernity of the west. 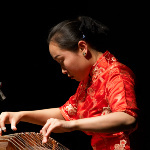 Since then she has produced a series of concerts on a yearly basis in her "Silk and Steel Projects" ('Silk' represents the traditional culture of China whereas "steel" is a metaphor for modernity and western culture) with special invited guests from a number of tradtions, thanks to the supports from the Canada Council for the Arts and Radio-Canada in Montreal. Liu Fang has so far produced five solo and four collaborative albums. Her last album entitled "Silk Sound" (under the French label Accords Croises, 2006) featured musical dialogues with artists from three different continents and was awarded the prestigious French Academie Charles Cros Award (the French equivalent of the Grammy). 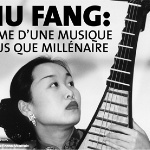 Back in 2001, Liu Fang was the only musician to receive the prestigious 'Future Generation Millennium Prize' awarded by the Canada Council for the Arts to three artists of different disciplines under 30 years of age. 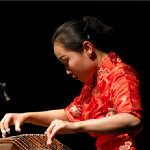 The words of the jury summed up her achievements rather succinctly: "Liu Fang's mastery of the pipa and the guzheng has established her international reputation as a highly talented young interpreter of traditional Chinese music. She aspires to combine her knowledge and practice of eastern traditions with western classical music, contemporary music and improvisation, thereby creating new musical forms, uniting different cultures and discovering new audiences."